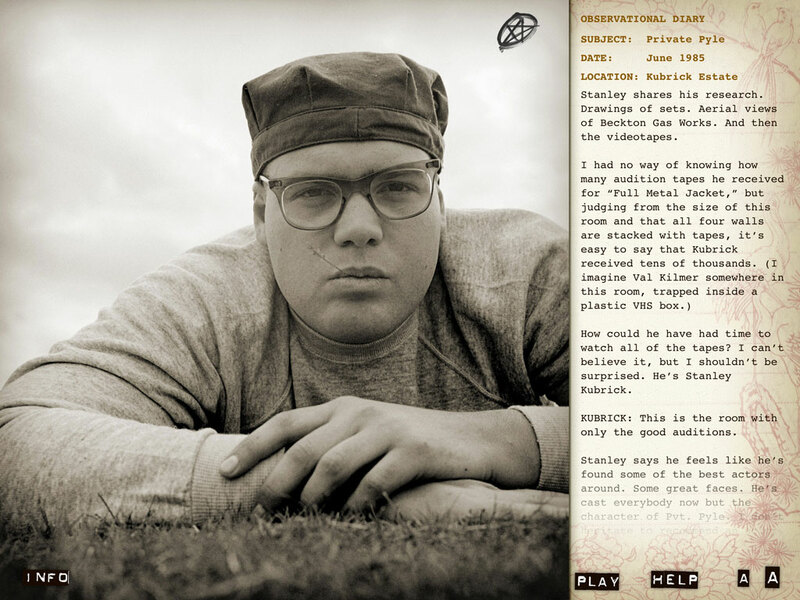 Thanks for visiting the Full Metal Jacket Diary website. 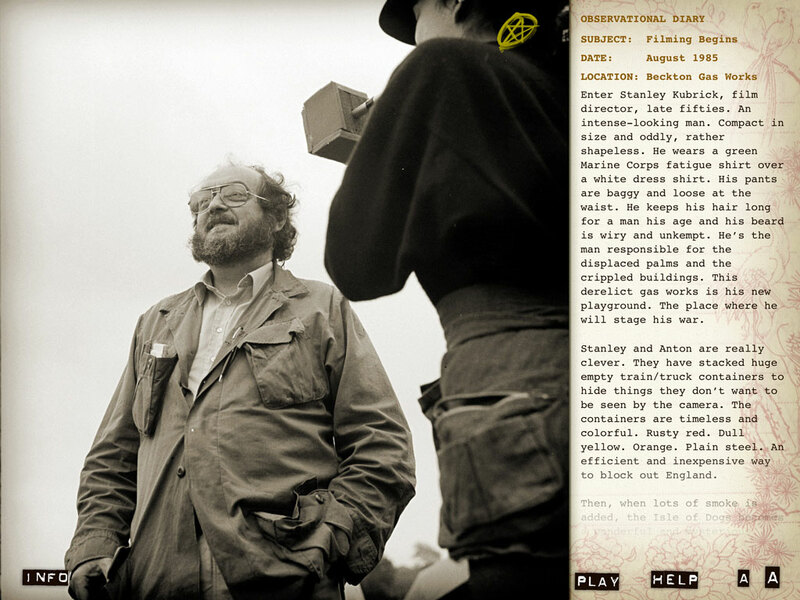 In 1985, Stanley Kubrick encouraged me to take photos and keep a journal while playing the lead role of Pvt. 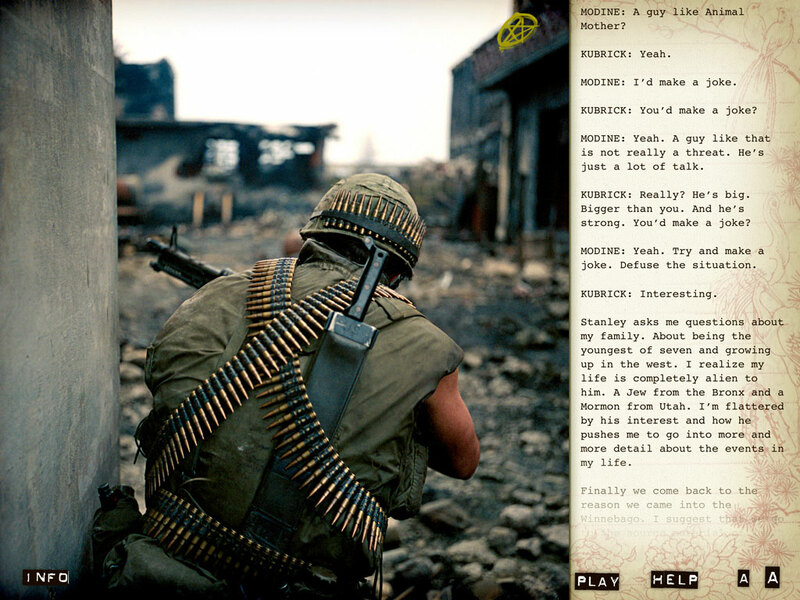 Joker on the set of FULL METAL JACKET. In 2005, I published a limited edition book of my photos and diary. 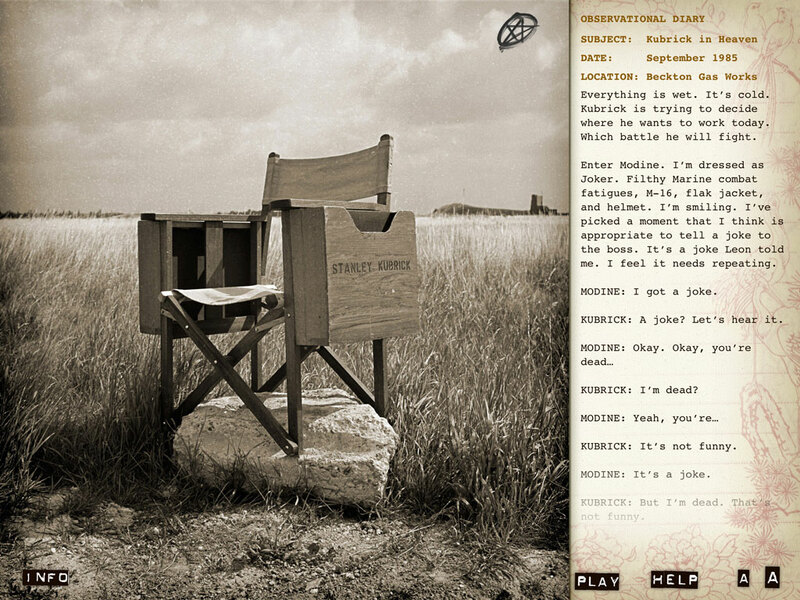 This app is based on that book; enriched and reimagined as an interactive, audiovisual experience. I hope you enjoy it! You can also purchase limited edition fine art prints from this site. I've selected six photographs to get things started. If you want, I'll even write a personal message. No problem! Watch a demo of the app! 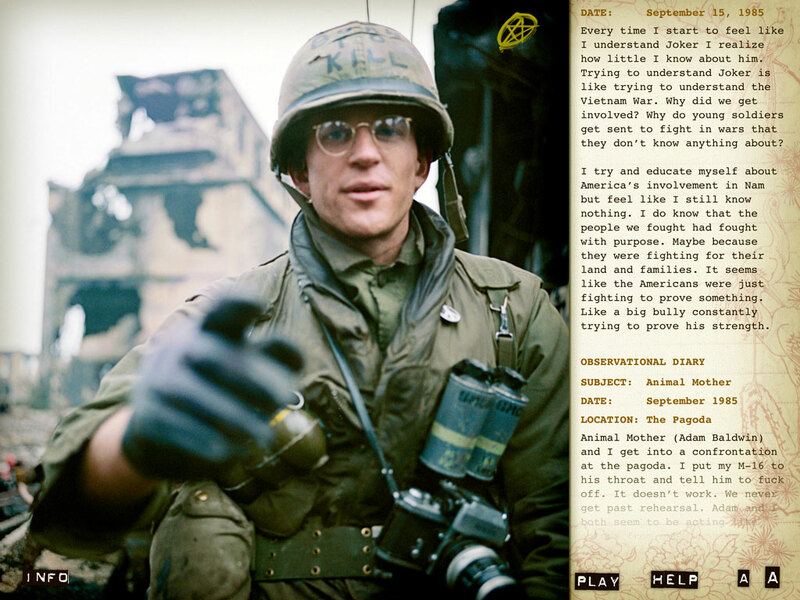 FULL METAL JACKET DIARY © Copyright 2005–2012 Matthew Modine. All rights reserved. 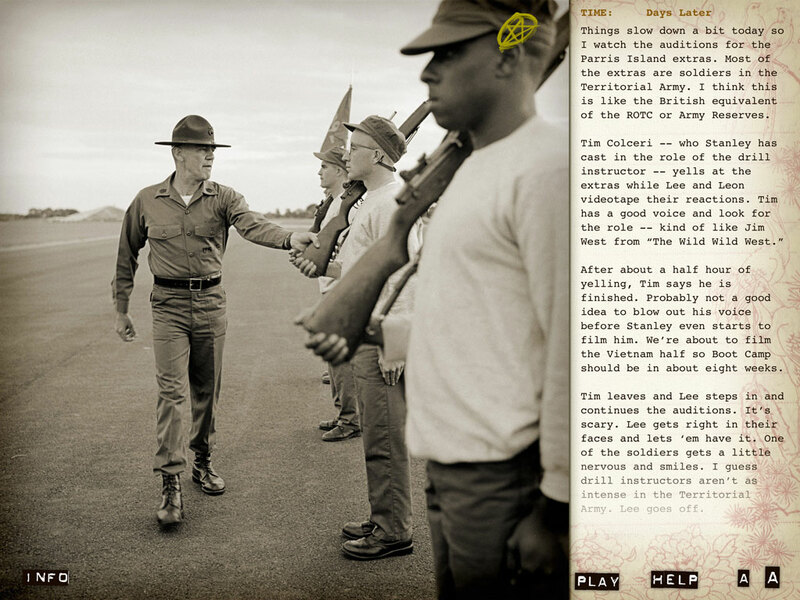 All photographs, images, audio, and text on this site and in the Full Metal Jacket Diary book and application (or “app”) are the property of Matthew Modine or used with permission. No part of this app may be used or reproduced in any manner whatsoever without written permission except in the case of brief quotation embodied in critical articles and reviews.